Derrick is the key to the strong Internet Technology structure, efficiency and the brand identity of the Linda Pinizzotto Team. He has 23 years experience with a wide variety of skills as he continues to keep the Linda Pinizzotto Team in tune with the changing times of Technology. Derrick’s invaluable input, advice and service also offers our clients immediate assistance with their move. In today’s world of technology it is impossible for our clients to make a move and lose even 1 day without proper service. They can trust and depend on Derrick to assist with their smooth transition without obstructing their day to day business. Derrick is an invaluable addition to the Linda Pinizzotto Team. 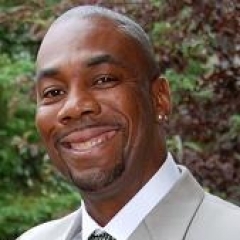 Derrick is the President CEO of IT Mayday, an Internet Technology based Firm servicing Project and Network Management, IT Forensics, Connectivity, Data Backup and Transfer, Wireless configurations and Website Development. He is the past Manager of Forensics and past Senior IT Specialist with Deloitte & Touche and was formerly in a senior position with CIBC. Derrick is well known in the industry as a master of his profession. Derrick also contributes his time for speaking engagements relating to his extensive background and expertise. 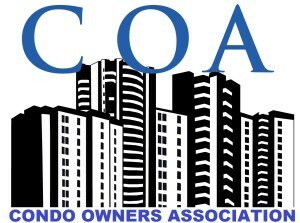 On the volunteer side, he is the IT Director of the Condo Owners Association (COA) www.COAontario.com a non profit Association representing Condo Owners across Ontario; the Vice President and Director of 2 Condominium Board of Directors and the advisory IT consultant to several Condominium Corporations throughout Mississauga, Toronto GTA, Oakville, Milton and Brampton. 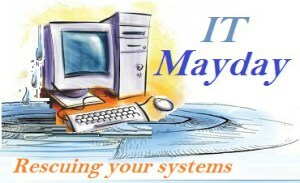 IT Mayday specializes in providing a full IT portfolio of servicing and Website Development plus they provide specialty and custom services for our clients and Condominiums and Property Management Companies. We are delighted to have Derrick Thomas on board to handle all of Linda Pinizzotto Team’s Technology, Computer and Social Networking needs. Derrick Thomas provides expert Technology, on websites, domains, emails, configurations, social network and complete internet technology infrastructure. Keeping computers and hardware safe and secure with the most up-to-date virus protection and backups.